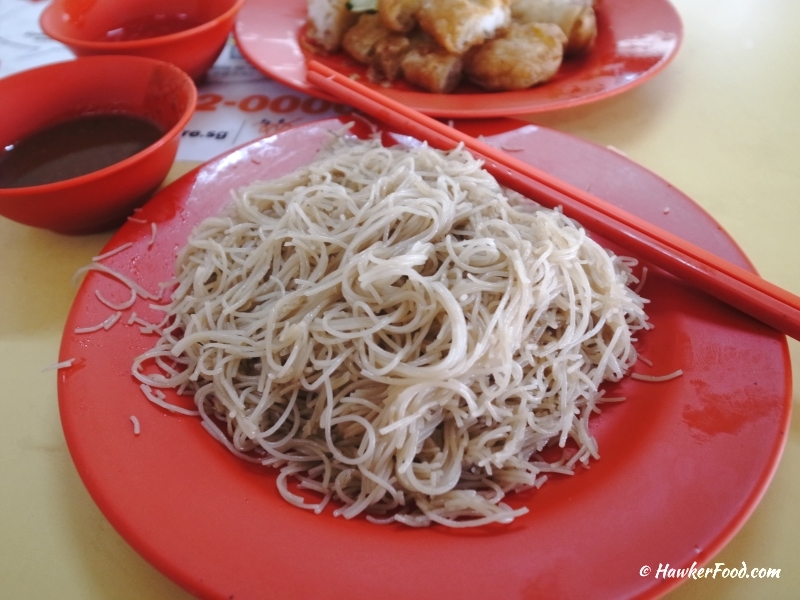 Ngoh Hiang (五香) is a delightful local hawker food in Singapore. Lao Beng still remembers the family time I had as a kid when my late father bought Ngoh Hiang home for dinner. 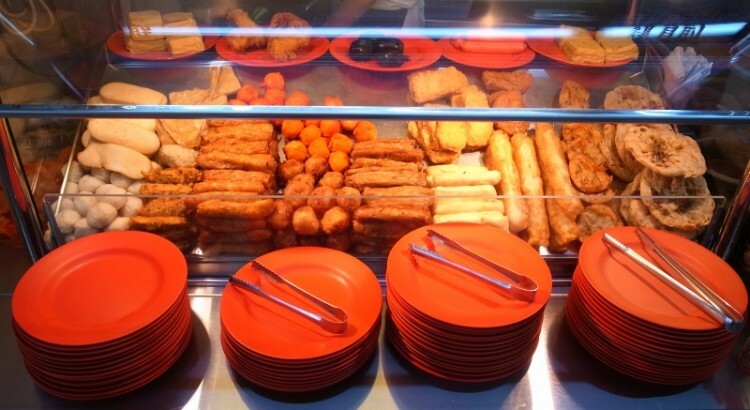 I would always fight over the last piece of almost every type of Ngoh Hiang with my elder sibling; it is like a race to see who can gobble faster. 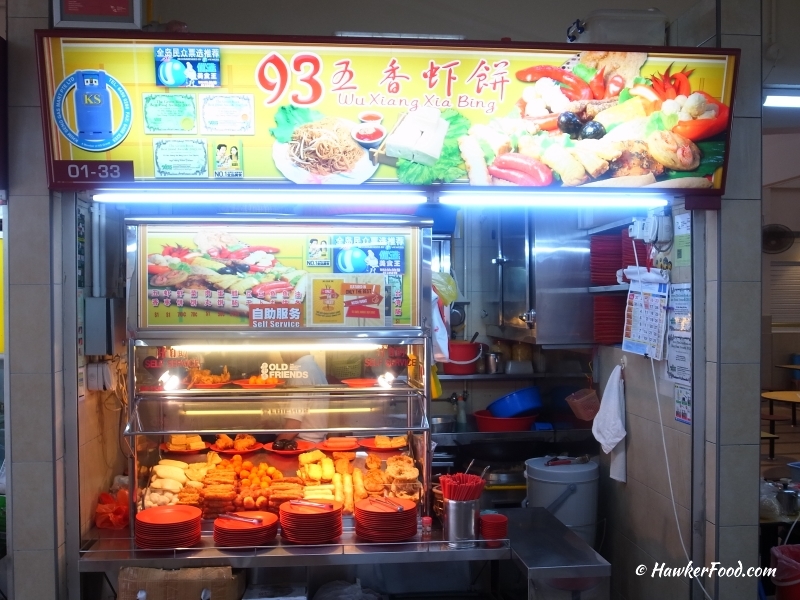 I was in Lorong 4 Toa Payoh one late afternoon and decided to try the 93 Wu Xiang Xia Bing stall in the hawker centre located at blk 93. 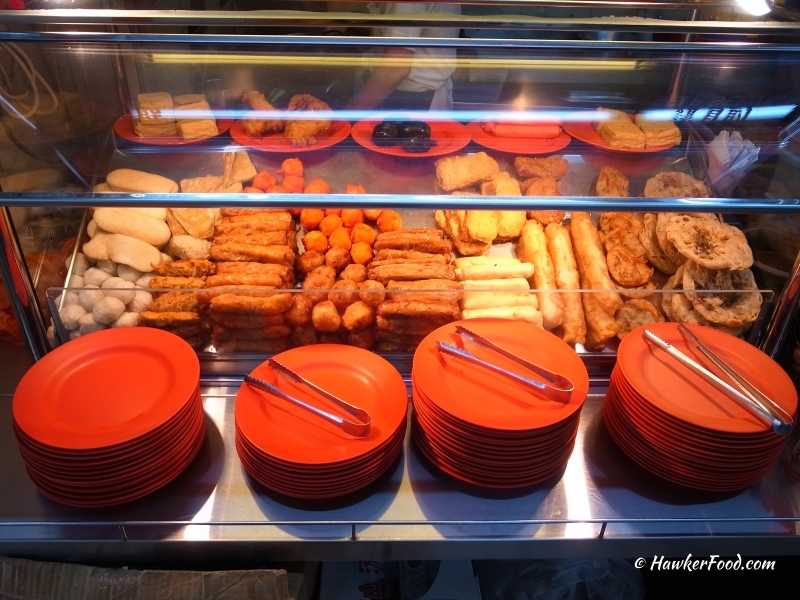 Selections were pretty standard just like any other Ngoh Hiang hawker stalls. The prawn crackers/fritters looked appetizing but I was more drawn to the Squid You Tiao (dough fritter). 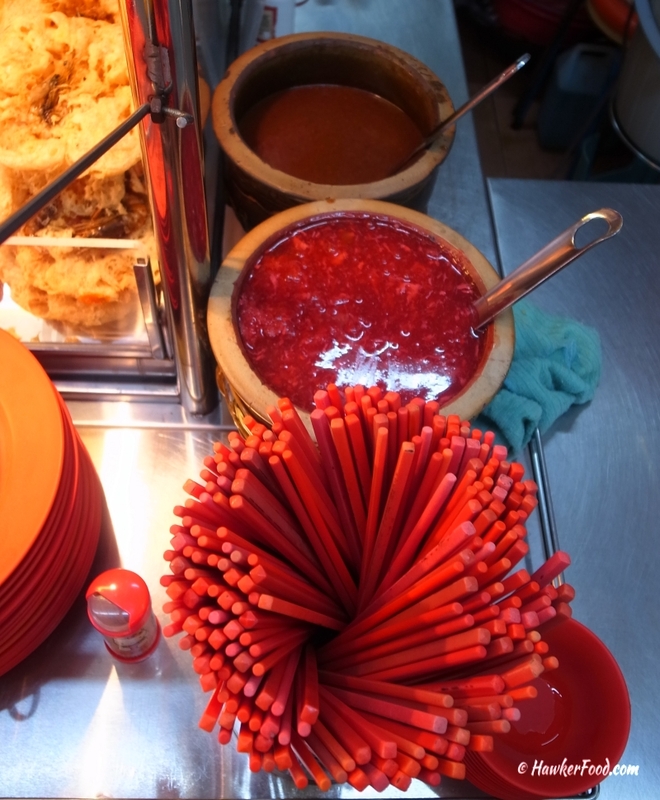 I was pleasantly surprised to see the pinkish non-spicy sauce dip. The last time I saw it, I was still a teenager. Ever since then, those Ngoh Hiang stalls I patronized only served the spicy version even though some used to serve the non-spicy sauce. 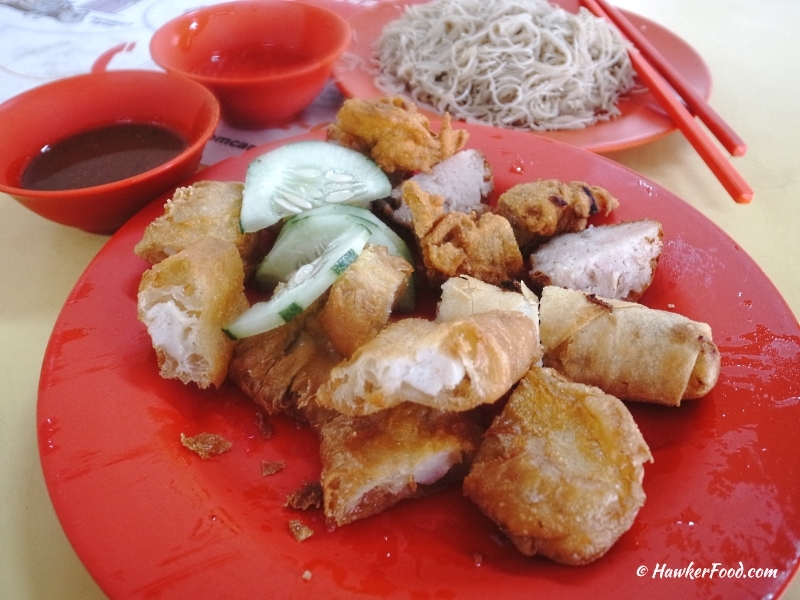 My selections of squid dough fritter, spring roll, yam ngoh hiang and ngoh hiang ball were fried to a good crunch. I especially liked the taste of the squid dough fritter, the texture was chewy and crunchy and tasted especially nice with either of the sauce dip. The total damage was $4.80 which I felt was just about the standard pricing nowadays. Though not spectacular, the quality of the Ngoh Hiang is pretty good. Do give it a try if you happen to be in Lorong 4 Toa Payoh.